Carlo Ancelotti has been fired as Bayern Munich coach, one day after a 3-0 loss to Paris Saint-Germain in what was the club’s heaviest Champions League group stage loss in 21 years. Bayern CEO Karl-Heinz Rummenigge had warned there would be consequences following the defeat in France, with SportBild reporting on Thursday morning that a meeting was due to be held later in the day to discuss Ancelotti’s future. Earlier, Rummenigge had called for “consequences” following the loss at the Parc des Princes, which was the club’s heaviest defeat in the Champions League group stages for 21 years. “What we’ve seen tonight was not Bayern Munich,” he said. Ancelotti’s assistant Willy Sagnol, former Borussia Dortmund manager Thomas Tuchel and Hoffenheim’s Julian Nagelsmann are among the early favorites to succeed him, with Sagnol to take temporary charge for the trip to face Hertha Berlin on Sunday. Bayern also confirmed that staff members Davide Ancelotti, Giovanni Mauri, Francesco Mauri and Mino Fulco have also left the club. 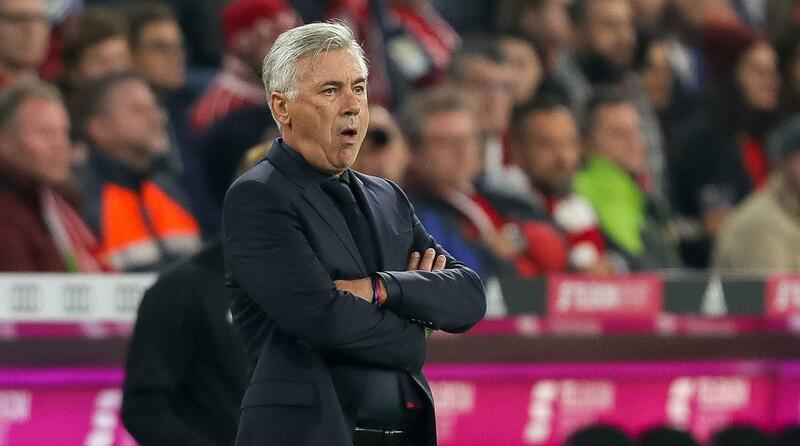 Ancelotti leaves with Bayern sitting three points behind Borussia Dortmund at the top of the Bundesliga after six games after suffering a 2-0 defeat to Hoffenheim and most recently losing a two-goal lead to draw with Wolfsburg. The former AC Milan star lifted the Bundesliga title last season, but saw his side eliminated from the Champions League at the quarter-finals stage at the hands of Real Madrid. They also lost to Dortmund in the DFB-Pokal final last term. He becomes the earliest dismissal in a season ever in Bayern’s history. Jupp Heynckes was previously the earliest departure in the 1991/92 season when he left on October 4.